Tall wood structures have been cropping up all over the news lately. Although it can be off-putting to designers that current building regulations can limit how tall these structures are, the technology behind building a skyscraper of wood is improving. 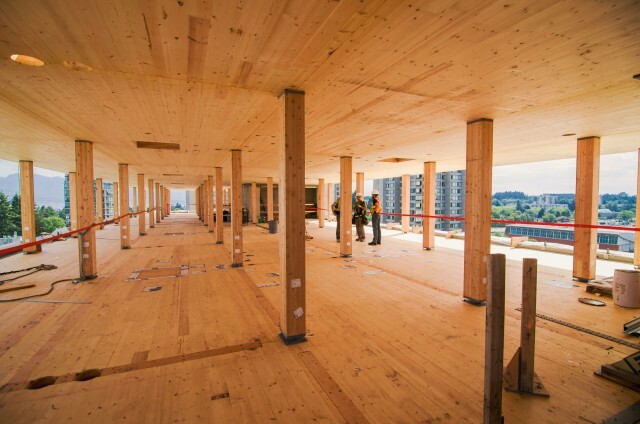 As a material, wood has a sustainable aspect that can’t really be denied, so it’s no wonder that these structures are putting down roots in various countries, including the U.S. and Canada, to prove that they can stand tall. One of these buildings is the Brock Commons student residence at the University of British Columbia (UBC). 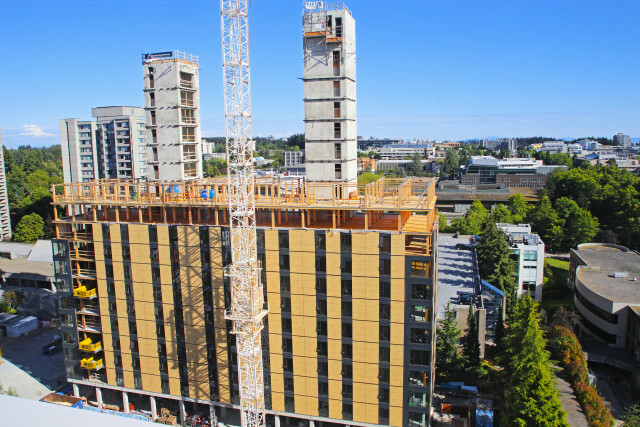 The 174-ft, 18-story building is a collaborative effort between Acton Ostry Architects Inc., structural engineering consulting firm Fast + Epp, tall wood advisor Architekten Hermann Kaufmann and prefab provider Structurlam—and it recently became the tallest mass wood, steel and concrete hybrid structure to date. 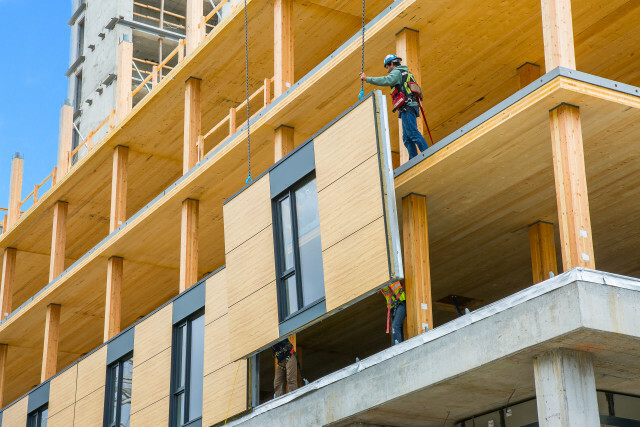 One of the biggest issues with widespread use of wood in tall building construction is the limitation on height. 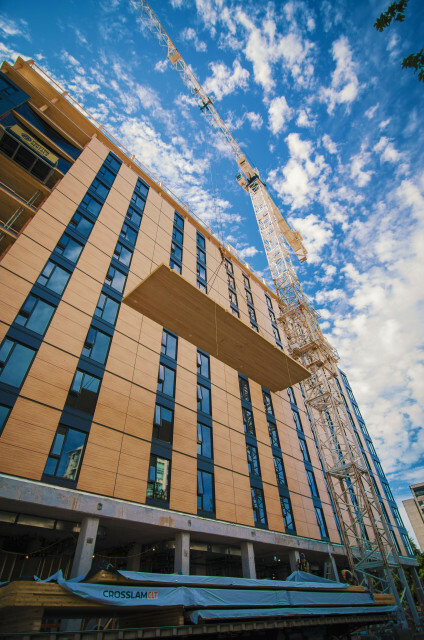 Due to concerns about structural stability, the American Wood Council and the International Code Council currently limit wood structures to a maximum of six stories above grade, depending on occupancy type. To reach its height of 18 stories, Brock Commons used a slightly different approach. It follows in the shoes of the supertall skyscrapers we’ve seen cropping up across Asia and the United Arab Emirates (UAE), which use a central structural core to take the stress off of the building’s exterior. 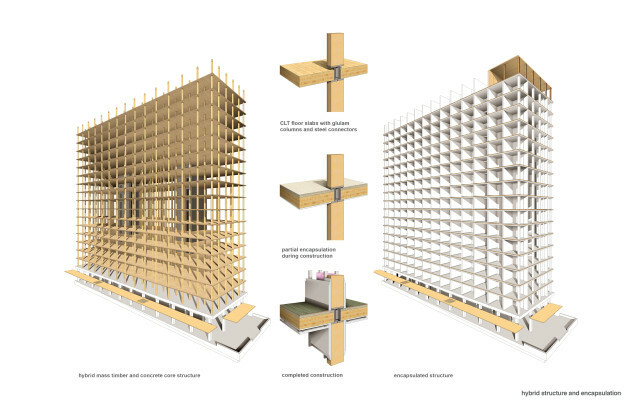 Two concrete “trunks” on a concrete podium form the core of the structure, with the rest of its 18 stories being constructed of cross-laminated timber (CLT) flooring and glue-laminated timber (GLT, or glulam) columns. The use of these two central columns means that the structure is strong enough to stand higher than the six stories mandated by building code. Brock Commons is also targeting a LEED Gold certification and, contrary to popular belief, will exceed required fire ratings and standard seismic safety ratings. Its CLT and GLT components incorporate three to four layers of fire-rated Type X gypsum board. In case of a fire, the heavy timber will char on the outside without losing its structural strength, allowing time for evacuation. Even a short-term project can be a huge task to manage. To keep track of the project, the design team used a virtual design and construction (VDC) modeler, CadMakers Inc. This task included creating a 3D building information modeling (BIM) model of the structure and its systems and projecting a 4D simulation of the installation process, which helped the team to visualize how it would all come together and sort out any constructability issues that cropped up before the ground was broken. The model also served as a single source for fabrication of the building's systems. Mass timber components were built using a STEP file exported from CATIA to the fabricator's CNC software, while MEP systems were prefabricated from the same CATIA model using assembly and spool drawings. Part of the rationale for this decision was that the VDC would be able to create one comprehensive 3D model that could be used by all collaborators throughout the project’s lifecycle, even long after construction crews had left the site. Brock Commons has a few things going for it in terms of sustainability. The building’s cladding, which is 70 percent wood fiber, is made of prefabricated components. Once construction crews hit the site, the building was completed in less than 70 days. It’s also worth noting that Brock Commons isn’t UBC’s first rodeo. The school’s campus includes at least five other structures made of wood, including (suitably enough) the Centre for Interactive Research on Sustainability. The project is being subsidized by Natural Resources Canada (CAD$2.34 million), the Province of B.C. ($1.65 million) and the Binational Softwood Lumber Council ($467,000). 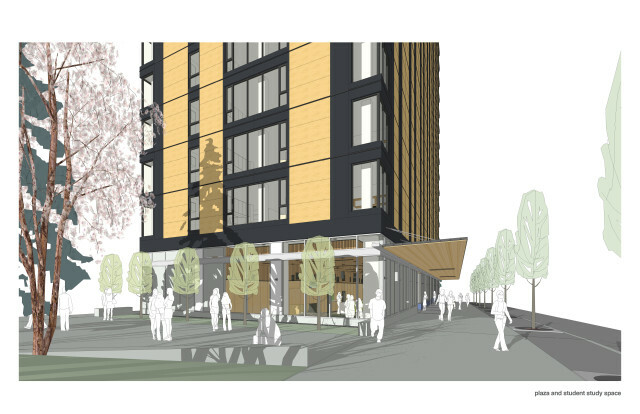 Although this doesn’t quite cover the project’s estimated $51.5-million price tag (the remainder is coming directly from the university), it’s a step in the right direction for tall wood structures. Would You Build with Wood? The move to wood structures has been a popular method of making buildings more sustainable, despite building code restrictions. Unlike many of our current building materials, wood is sustainable and versatile—and rather than emitting carbon dioxide, it stores the greenhouse gas. The university estimates that the building will cause a reduction of 2,432 metric tons of carbon dioxide compared to its footprint if it were built using traditional construction materials. It’s also particularly beneficial in British Columbia, a province known for its forestry industry. In fact, according to a naturally:wood report on the project, Canada “has more land independently certified to international forest certification programs than any other jurisdiction in the world.” It makes perfect sense for the university to incorporate a material that’s easily accessible, renewable and good for the local economy. With projects like this planting their roots on campus, it’s quite possible that they’ll grow into a movement toward sustainability across the globe. For more information on Brock Commons and UBC’s initiatives for sustainability, check out the website.